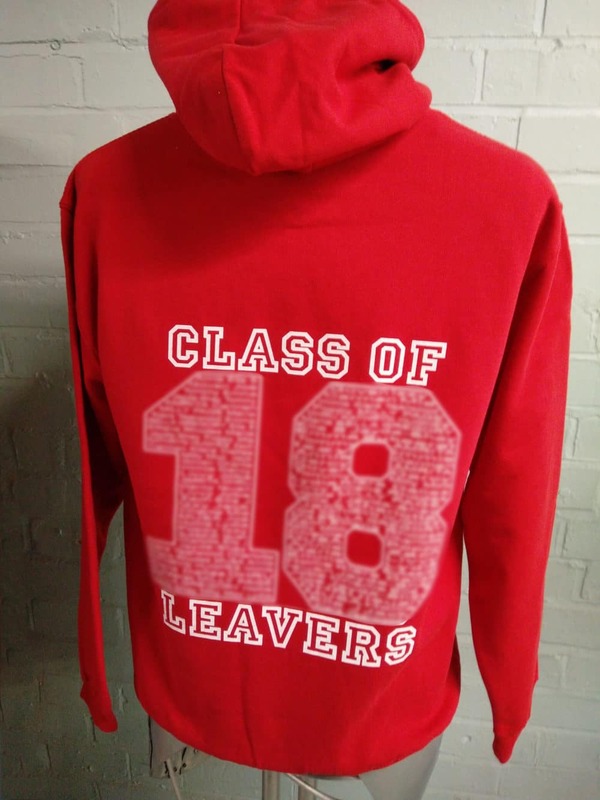 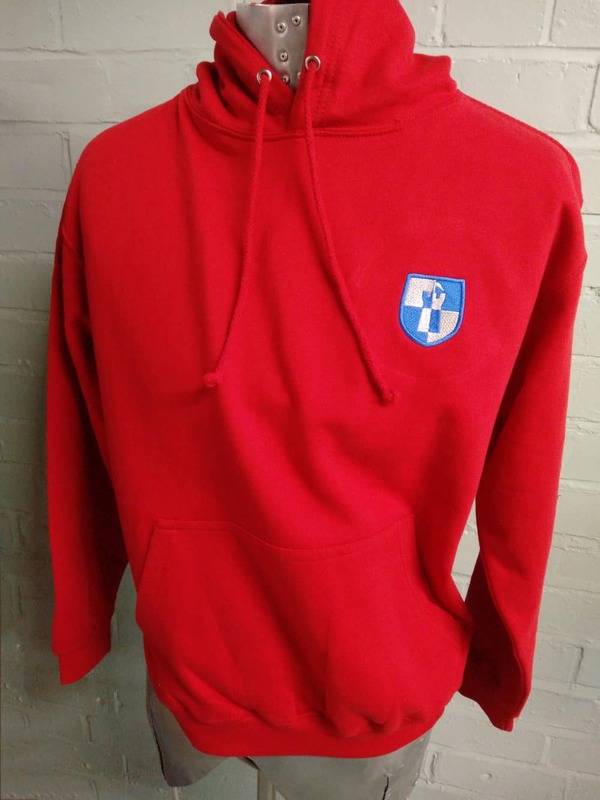 Red Class of 2018 Leavers Hoodies. 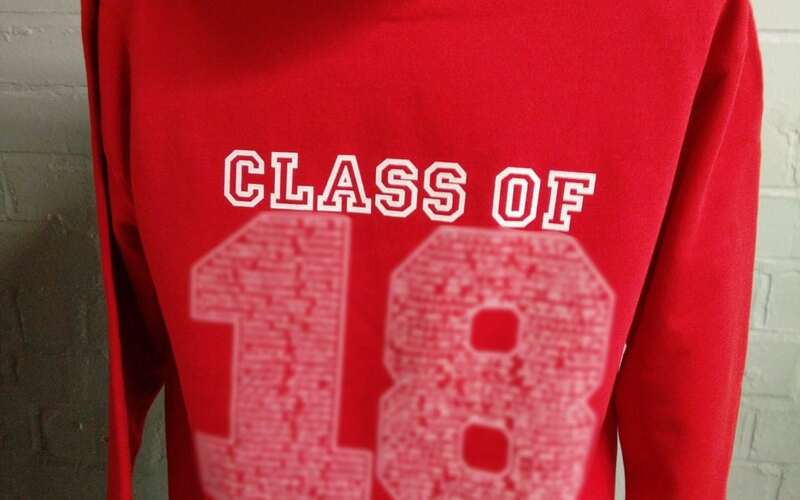 With full colour custom embroidered logo on the front and “names” leavers print on the back in white. 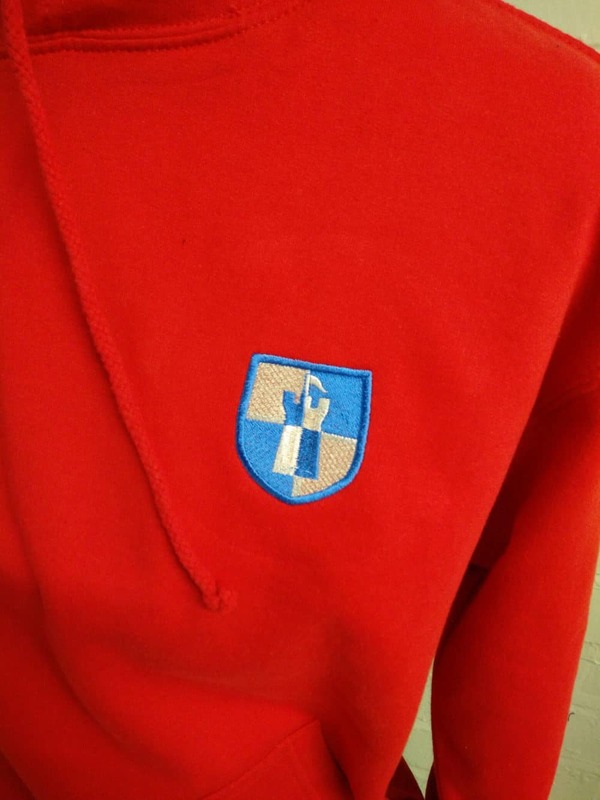 Looking light and bright and standing out from the crowd.